Men are more demanding when it comes to custom fits. The research of online searches for custom shirts and suits selling websites indicate its growth of custom tailoring in Internet. It is the right time for business people to build an online store for custom clothing as there are not enough sellers in the market yet. The demand is soaring high and big brands can’t cater to all customers. If you are the one, hunting to launch an online business for fashion lovers, here is something about custom clothing businesses - You should not miss! Fit4bond - Custom tailoring business website script especially built to cater to needs of upcoming startups and entrepreneurs who look at custom clothing business with the intent of starting their own venture. Fit4bond has multiple addons in custom tailoring business script ( 3D clothes showcase, Clothes Designing Interface, complete apparel designing tool, payment gateway integration, 24 hrs chat application ) when compared with other custom tailoring web applications. 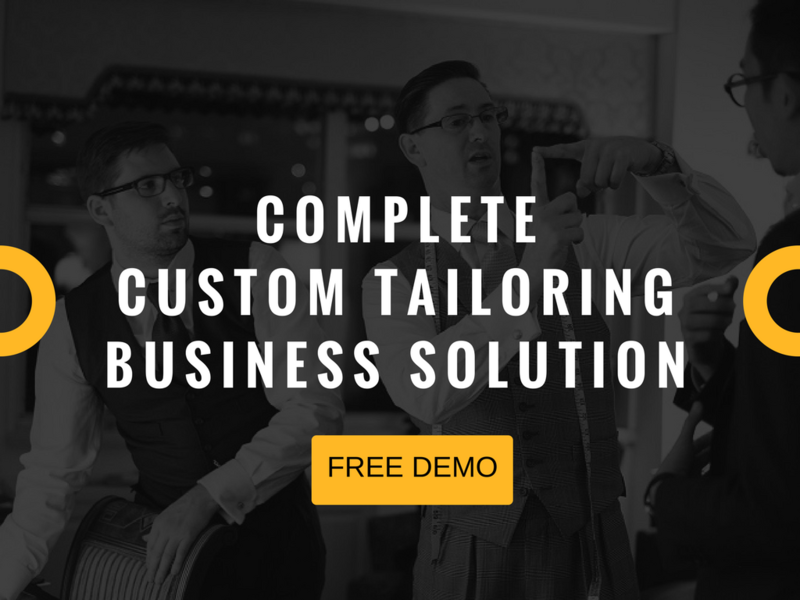 It’s absolute business tool for custom tailoring business to satisfy their business needs. If custom tailors having their exisiting website, integrate this tool in their website they need not waste their time in visiting their clients by directly. You can meet them and take an measurements through online. Fit4bond make this opportunity very easily to every custom tailors with its demands. It satisfies the important needs of custom tailors. Record Customers Measurements - customers measurements will be recorded once they place their first order of apparels. Maintain Customer Profile - Through this tailoring, script tailors can maintain their customer's profile for many years. Schedule Appointment - Tailors can manage their appointments easily with this smart online tailoring tool. Cash Tracking - Several payment gateways can be integrated for cash transactions. PaperLess Tailoring - Tailors can save their energy in the online tailoring platform.During the ancient days, tailors spent their energy in conserving their client's record. Addition to these features fit4bond tailoring script has some innovative features like 360-degree rotational view, virtual fitting room, mix and match technologies. A special feature of this tool is online apparel designing tool.Through this apparel designing tool, customers can design their apparels at any time from home.Custom tailors can attract their fashionable customers with this apparel designing tool.Business people can also start their clothing store with this designing tool.This tool can make tailors life better and brightened. Its Time For Tailors To Know More Features about tool by Booking A Free Demo !